Located just above Noto´s historical center, Piano alto is a quiet and authentic area dotted with attractive old houses and alleys. The most important landmark is the baroque Church of the Holy Cross, in the main square, the second leading religious building of the the city. Basic shopping can be done by foot: there is a weekly open market but also the best fish shop and the best bakery in town. 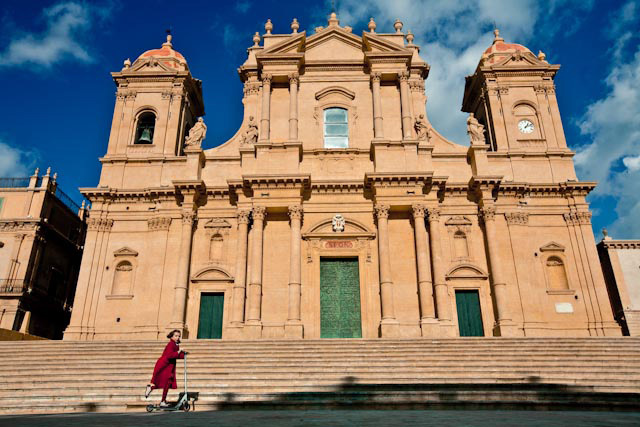 History: following the catastrophic 1693 earthquake that destroyed most of South Eastern Sicily, Noto was rebuilt 10 km from the original site, on the Meti hill. At first the idea was to re-found it on the plateau but not everyone agreed: for at least a decade citizens quarreled about whether to build it on top of the hill or on its slope. The result is the Noto we observe today, with the "low" city and the "high" city: two distinct entities, almost two separate cities. The so-called Pianazzo ("Cianazzu" in Sicilian), ie Noto Alta or Piano Alto, is built around the square with the Collegiate of the Holy Cross, while the lower part is developed along a road axis: present day Corso Vittorio Emanuele. Noto, "the Garden of Stone", is an urbanistic late Baroque jewel dominating the southern tip of Sicily, known since antiquity as the Val di Noto. The main tourist activity is simply walking around in the beautiful streets or sit outside the Caffè Sicilia, on the main Corso, watching life go by while you taste incomparable sweets. 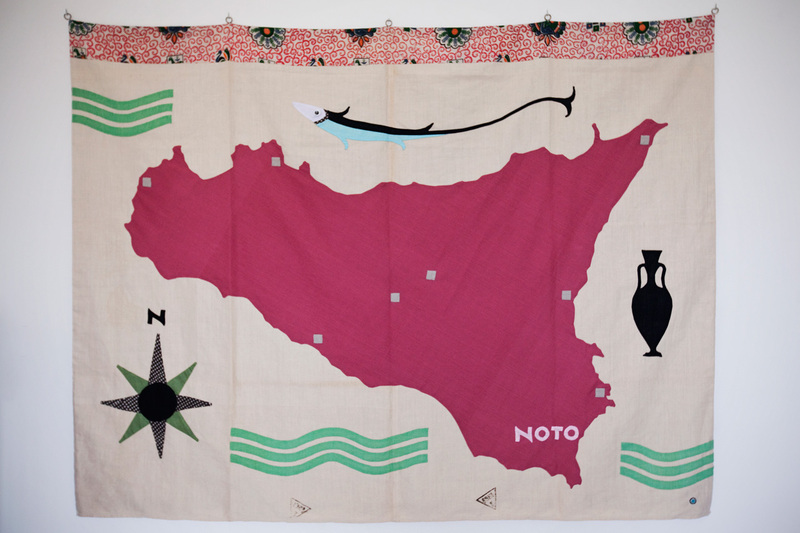 To understand Noto´s millennial history you can take a walk in Noto Antica, the original city, destroyed by the tragic earthquake of 1693. Nearby it´s worth visiting the site of San Corrado, a 1300´s hermit who´s the beloved patron saint of the city. A few minutes drive from the city center, you´ll find the Vendicari Natural Reserve: eight kilometers of wild coastline where you can have memorable swims but also nature walks among flamingos and herons. 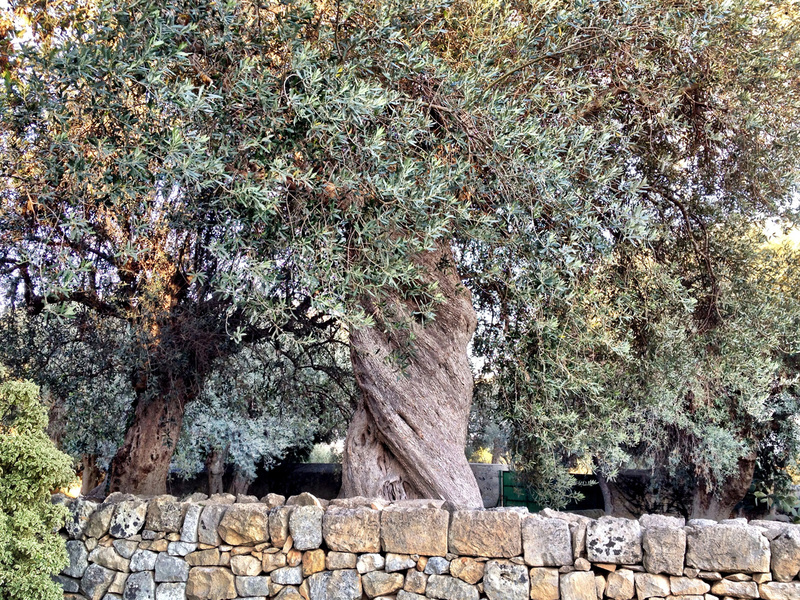 In the surrounding countryside you can visit Greek and Roman ruins or stop at a winery for fine local wine. The best advice for Sicily´s first time traveller? Visit only a small portion at a time. Sicily is the largest island in the Mediterranean and the world´s oldest multicultural society. Every corner has its archaeological and natural wonders, its character and history. It would be a shame not to take advantage of it. If you are based in Noto, in a week, you can visit the baroque cities of Val di Noto (Palazzolo Acreide, Ragusa, Modica, Scicli and Caltagirone are the closest) the eighteenth century tonnara of Marzamemi, spend at least a whole day in Syracuse or immerse yourself in nature at Pantalica or Cavagrande di Cassibile. Slightly more distant, but still reachable in a day visit, you can head north for Catania and the Etna vulcano, or inland to Piazza Armerina and the Villa del Casale with its extraordinary mosaics, one of the most important examples of late Roman architecture.